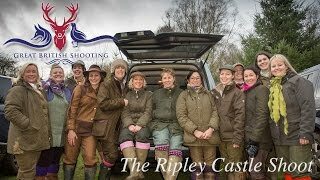 A day with the Ripley Castle Shoot is “Just how a Proper Driven Shoot Day should be” or should I say, this is what we always try to achieve! I am often asked what do I enjoy about running a shoot. It certainly does have its challenges but these are soon forgotten once in the company of like-minded people from all walks of life and the real characters driven game shooting seems to attract! So what is different about our Shoot. 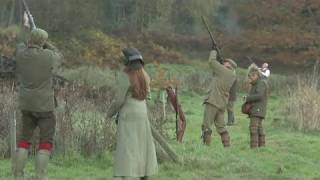 Although we welcome full teams, we particularly cater for single guns and small parties. 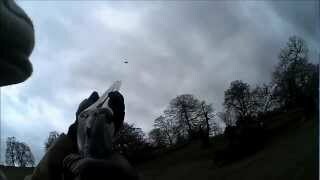 I encourage novice guns to join us providing they have had some clay shooting experience and have an experienced shot or one of our loader/instructors standing with them. I would be disappointed if an individual gun joining us for the first time did not feel at home within a few minutes of arrival. Planning the days is a challenge in itself as everyone seems to have quite different priorities. I plan each shoot day just how I would expect it to be if I were in the line of guns. The Ripley Castle Shoot. Mainly a members shoot with some individual gun days. Hardcastle & Heathfield Moors. 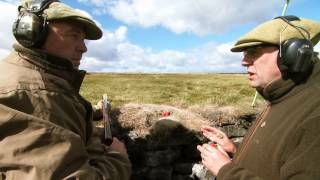 Two wonderful traditional grouse moors. The Mountgarret Shoot. A shoot steeped in tradition. Eagle Hall & Ashfold Side. Long established gentlemans shoot. For tips on the dress code click here.
. Why not have your adventure filmed by Eagle Review’s professional videographer? Capture the magic of your visit with our on-location video. It's the next best thing to being there! Our stunning videos are the best way to look back on your adventure and show your friends back home. We take care of everything from agreeing a brief to delivering the finished video. Have a look at some of our video’s here. Taxidermy, please contact the venue for more detail here. Thank you for a great day at Ripley Shoot today. G and I really enjoyed it. Also thank you to all your team. Just a short note to say how much, R, N, E and I enjoyed the shoot on Saturday – nice, interesting group and good sport. Stuart really put on a good show. It was a pleasure shooting with you at Ripley Castle on 11th November. My first time with birds was fantastic! I very much enjoyed the company and my time with you, Stuart and Gordon. I just thought I’d drop you a line to say what an amazing season I had at Ripley Castle. Yourself and your team are simply outstanding and a great credit to the sport. I will see you all again next season for sure. Just a very quick word of thanks to you and the Ripley Sporting team for making our recent visit so wonderful. We will most certainly be back to see you again!